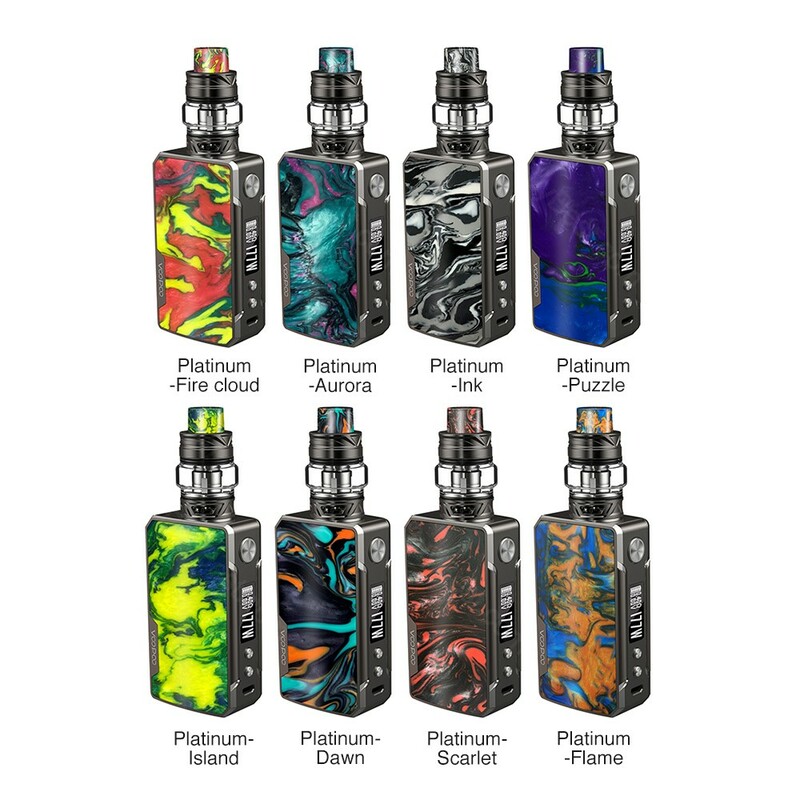 VOOPOO Drag 2 Platinum TC Kit is an upgraded version of Drag 2 kit. With advanced GENE.FIT chip and multiple protections, it will provide you a safe and entertaining vaping experience, strong clouds and the optimal flavor included. Platinum VOOPOO Drag 2 is an upgraded Platinum version of the previous one Drag 2. Non-fading and scratch-proof platinum frame makes Platinum Drag 2 more fashionable and cool. 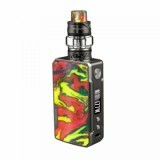 Powered by external dual 18650 batteries, it can fire up to a powerful output of 177W. The Drag 2 MOD also utilizes the advanced GENE.FIT chip that is secured by a V0 class fireproofing bridge to block the device from dust, liquid or burnout. What’s more, the Platinum Drag 2 is designed ergonomically with curve surface and round corners to pursue a comfortable hand feeling. 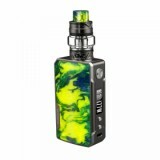 The VOOPOO UFORCE T2 Tank is an innovative sub-ohm tank that can produce strong clouds and an optimal flavor for you. 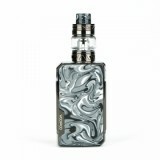 Additionally, it can help prevent the e-juice leakage problem by pushing the top cap. 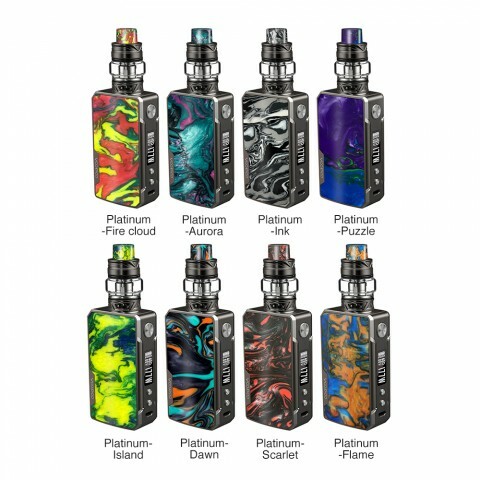 Come and get one VOOPOO Drag 2 Platinum TC Kit and start to enjoy your entertaining vaping trip. Note：The UFORCE T2 Tank is compatible with almost all UFROCE coils (P2 is not compatible with TPD version of UFORCE T2) and all of the glass tubes 2ml (TPD Version)/3.5ml/5ml/5.5ml/8ml. (The 8ml bulb glass tube need an extra connector to fit with UFORCE T2 tank). • The UFORCE T2 Tank is compatible with almost all UFROCE coils (P2 is not compatible with TPD version of UFORCE T2) and all of the glass tubes 2ml (TPD Version)/3.5ml/5ml/5.5ml/8ml. (The 8ml bulb glass tube need an extra connector to fit with UFORCE T2 tank). 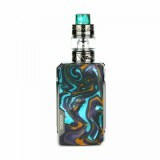 • The resin style drag has its own unique psychedelic pattern. We could not guarantee the product has the same pattern as that in pictures. We can only ship orders randomly. Hope you can understand. • No e-juice included, you have it buy it separately. 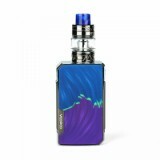 • VOOPOO Drag 2 177W TC Kit, VOOPOO Drag 2 177W TC Box MOD are also available in BuyBest.